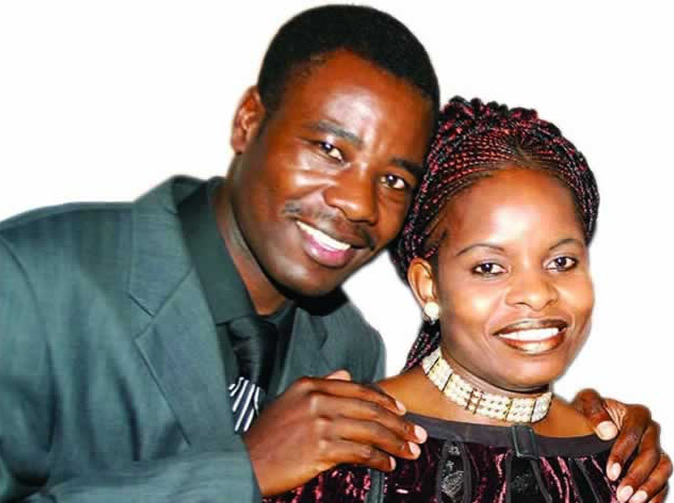 Scores of parishioners graced the first service of Charles and Olivia Charamba's church, Rooted in Christ Ministries, on Sunday at Zimbabwe College of Music in Harare. Addressing worshippers, Olivia, popularly known as Mai Charamba in music circles, said the response was overwhelming. "We were supposed to be in a Lecture Room, as communicated earlier on through fliers and posters, but God has other plans for us. "Judging with people's response on social media, we have opted to hold the service here at the opening space to accommodate everyone," she said. "We thought the service was going to attract a handful people considering we are still new. The only invited guests were members of The Fishers of Men (their backing group)." Hatina kubuda nevanhu from other churches. Contrary to public opinion, the church is still to be launched. "The Rooted in Christ Ministries will be officially launched in the near future. This is not the launch but only our first church service," Mai Charamba said. The Buruka hit-maker, who was described as "the visionary leader" by wife Olivia, shared the church's vision and mission. "Rooted in Christ Ministries was founded in Zimbabwe by us. We are not part of a church in America which runs under the same name. "Ours was mothered by Apostolic Faith Mission in Zimbabwe, that's where we were groomed, and now we have graduated into a ministry," he said. "We are not going to preach a new Jesus, but the one preached by the likes of Paul. We are not a branch of any other social or political organisation but we are only here to uplift people's spirits. We are apolitical." Baba Charamba, as Charles is popularly known in music circles, revealed the gospel power couple's church was inspired by biblical verses. "Our ministry was inspired by Psalms 1 verse 1-3 which says ‘Blessed is the one who does not walk in step with the wicked or stand in the way that sinners take or sit in the company of mockers, but whose delight is in the law of the LORD, and who meditates on his law day and night. That person is like a tree planted by streams of water, which yields its fruit in season and whose leaf does not wither — whatever they do prosper." Meanwhile, the majority of new churches started with few people. Some of them include Kwekwe-based Grace Abound Church led by one Effort Maphosa which started with less than three people in Munyati but now the church boast of thousands of followers. Other examples include Walter Magaya's Prophetic Healing and Deliverance Ministries and Blessing "Hitman" Langton's Epworth-based Christ Realm Ministries of All Nations among others.